Your thermostat is the key to your comfort. It also affects the energy efficient functionality of your heating and cooling system. If it’s not working properly, you can quickly find yourself paying higher than usual electrical costs. Get the ultimate control over the temperature in your home! Call (614) 388-9241 and find out about our money-saving programmable thermostat solutions. We service Columbus and all the surrounding areas! At CJS Heating & Air we offer the highest quality programmable thermostat solutions for all our customers in and around the Columbus area. We can install these systems in your home, and help your program them for optimal functionality. Also, should there be an issue in the future, we offer expert thermostat repair solutions as well. At CJS Heating & Air, we are your go to thermostat specialists. Whether you’re in Columbus, or the surrounding areas, our highly skilled and trained staff will be able to provide you with an expert solution. With over a decades worth of experience, we know that we have the experience needed to get the temperature in your home under control. 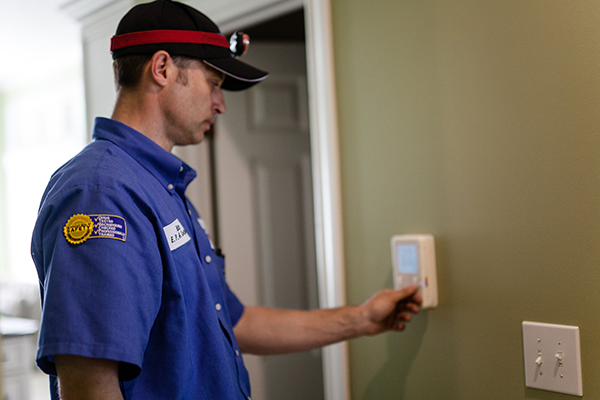 Are you ready to upgrade your old thermostat? Call (614) 388-9241 and save money with our industry leading Columbus programmable thermostat solutions. We will provide you with quality solutions in no time.